A lot of people get put off snorkeling because of the claustrophobia and uncomfortableness of the masks and this is exactly why easyBreath snorkeling masks were created. + They cover your entire face, so you can breathe through both your nose and your mouth. + They give you an unobstructed view, so you can see clearly. And they’re also built with soft plastics that mold right to your face, making them super comfortable and very unlikely to ever leak. The UV 400 protection is what really makes this mask special. Designed with a stop water pad and soft silicone seals. The main upgrade they’ve put in is to change the nose area to be made out of soft plastic. It’s got a one size fits all design, which is great if you want to share the mask with someone else. The best thing about this is how customizable it is. This has a valve at the bottom of the mask that you can blow any water that leaks in out of. The 2 year warranty is really cool. An updated lock system has been built in, which stops the snorkel from accidentally separating from the head and letting water in. 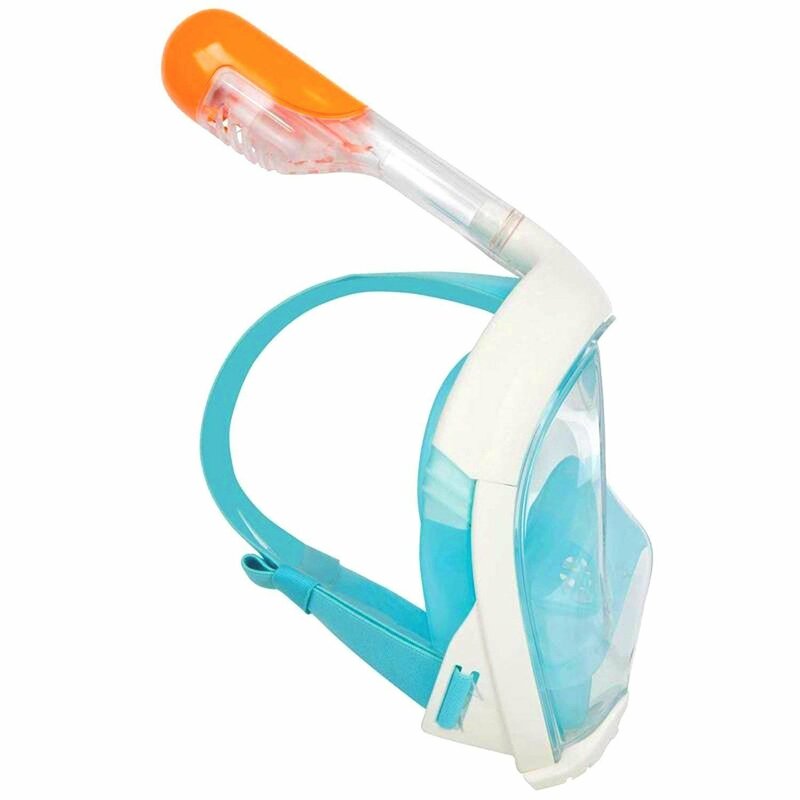 What makes these so much better than normal snorkels Masks? The best bit is how much easier they are to breathe through. It’s much more natural than normal snorkels as your not breathing through a tube, instead mouth or nose, you can breathe easy. 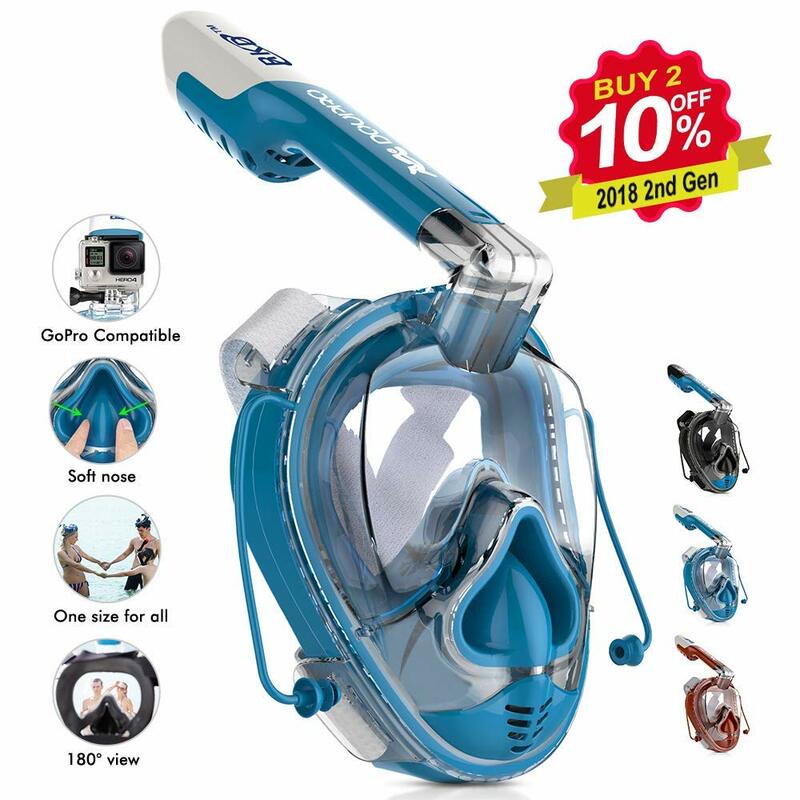 Normal masks also restrict your vision, which can be annoying when you're trying to see the fishes, but with this being a full face mask it gives you a clear 180 degree, unobstructed view of the underwater world. This perfect visibility is a big selling point for a lot of people, they don’t fog up, there’s no bits of plastic in the way and they’re less likely to leak too. In 2017, Subea designed and released a camera mount that fits all Easybreath snorkels. This is super handy for getting sweet underwater shots to check out later and share with others. You can attach most waterproof cameras to it easily and I’ve never heard of anyone having any problems with it. What are the differences between different EasyBreath models? These are the four main differences between models. When looking at different versions the more comfortable and the better the style, the more it’s going to cost you. I’d say the best is to go with a balance. The cheapest versions can have bits of plastic that dig into your face and that’s no fun, but there’s also really no reason to go with the most expensive ones that don’t really have anything extra from their cheaper counterparts. When it comes to size, some have a one-size fits all design, which is great for sharing the mask with other people, while others you have to pick a certain size. How to choose which EasyBreath mask to go for? It’s really down to personal preference and how big (or small) your price budget is. What do you value more comfort or style? Do you mind spending an extra 20 bucks or so for extra UV protection? Whatever your preferences the best thing to do is to think about what you value the most and then check out what’s out there available to buy. I’ve been spending hours every day for the last week researching these guys and have made a list of the five best EasyBreath snorkeling masks, I could find that are currently for sale on the market. The top of the market, this guys great for sunny locations, being the only UV EasyBreath mask out there. The UV 400 protection is what really makes this mask special. This means that as long as you have your mask on, whether your underwater or on land, you’ll be protected from UVA and UVB radiation. Designed with a stop water pad and soft silicone seals, the chances of water seeping in or any leaks happening are practically zero. Comes with a mesh bag, earplugs and a camera mount. There’s nothing like some extra freebies. The price! This guy isn’t cheap, in fact it’s the most expensive mask on my list but that’s expected when your buying the best of the best and this is a good example of getting what you pay for. If you’re looking for the best of the best then this would definitely be a good one to check out. With UV protection and the non-leak design, you don’t really get much better than this. It’s a little bit more expensive than the older version but they’ve upgraded a hell of a lot of it too. The main upgrade they’ve put in is to change the nose area to be made out of soft plastic. This makes it way comfier, you can easily equalise to new pressures by holding your nose while still underwater. The outside of the mask is made out of a soft silicone which is super comfy and means you’ll never get any leaks. Nothing. I literally can’t think of a single thing I don’t like, it’s pretty cheap, works well and looks cool too. If you’re looking for a all-round sweet deal, this is a damn good option. It’s got some extra features that others don’t and it’s not too expensive either. This is the classic model. There’s nothing extra special about it, but it’s cheap and works well. The best thing about this is how customizable it is. There are 8 different colors to choose from, so you can tell your mask apart from the rest. This has a valve at the bottom of the mask that you can blow any water that leaks in out of. The newer models leak less than this one but at least when it does you can get it out easily. The flow of air you get when breathing isn’t quite as smooth as the new models, you’ve got to breathe just that little bit harder, which can get tiring. If you like style and looking good, then this would be a good option. Get the color that suits you and get out swimming and see some fishes! The 2 year warranty is really cool. Not only does this show how much Tribord believe in the mask they’re selling it also just gives you that extra peace of mind for if you have any problems down the road. An updated lock system has been built in, which stops the snorkel from accidentally separating from the head and letting water in. A damn good upgrade. This is the most expensive on my list so it’s going to set you back a few more dollars. If money’s not a issue and you want that extra peace of mind that a warranty brings then it’s hard to beat this one. 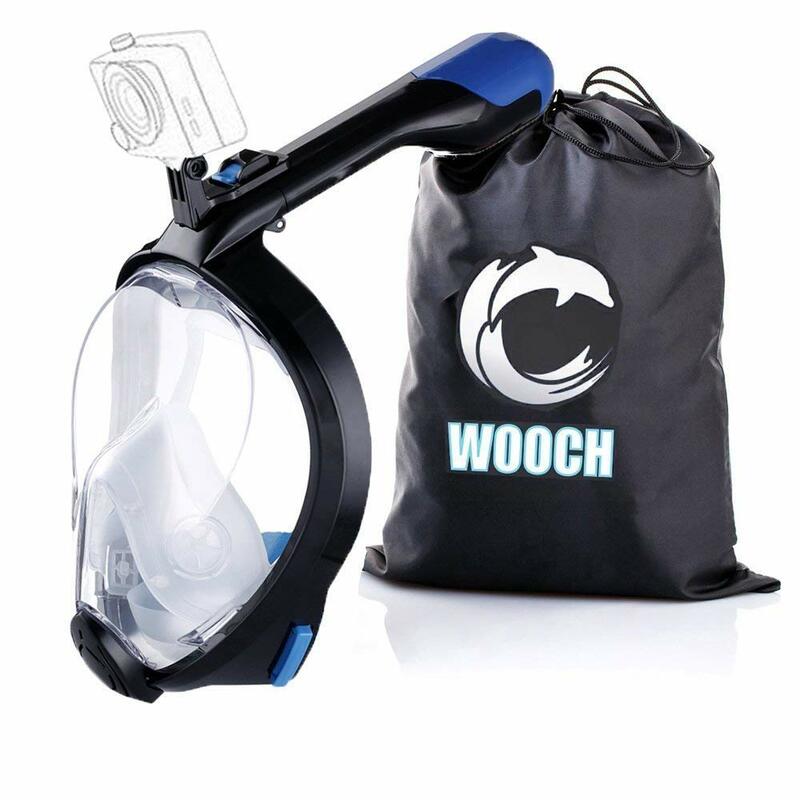 Easybreath Snorkeling and Scuba Swimming Kit by Wooch. 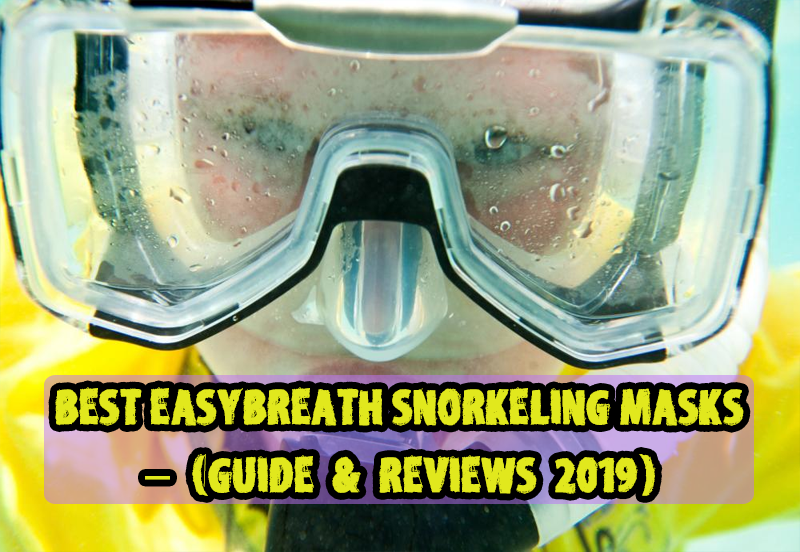 This is one of the cheapest Easybreath snorkels that you’ll come across and still is one of my favourites, just because it does what’s needed. Being able to collapse the whole thing down is one of my favourite things about this guy. The tube folds away by just pressing a button and makes it super portable and easy to carry around. 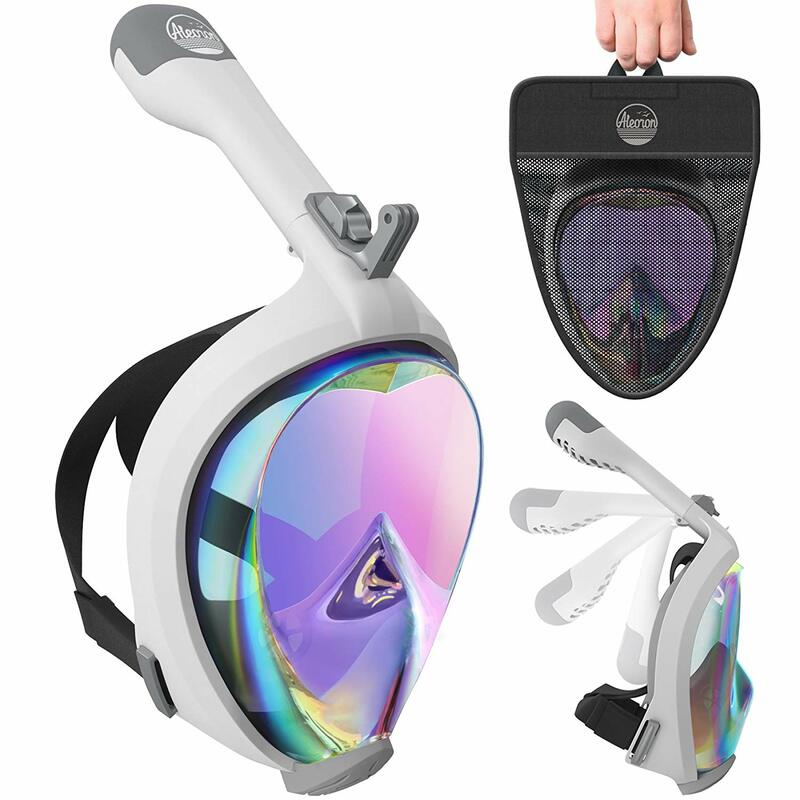 The mask itself is a great size and being able to snorkel with a 180 degree view of everything that’s going on, without any bits of plastic getting in the way of your vision, is just wonderful. This is probably one of the easiest masks to breathe through that I’ve ever worn. 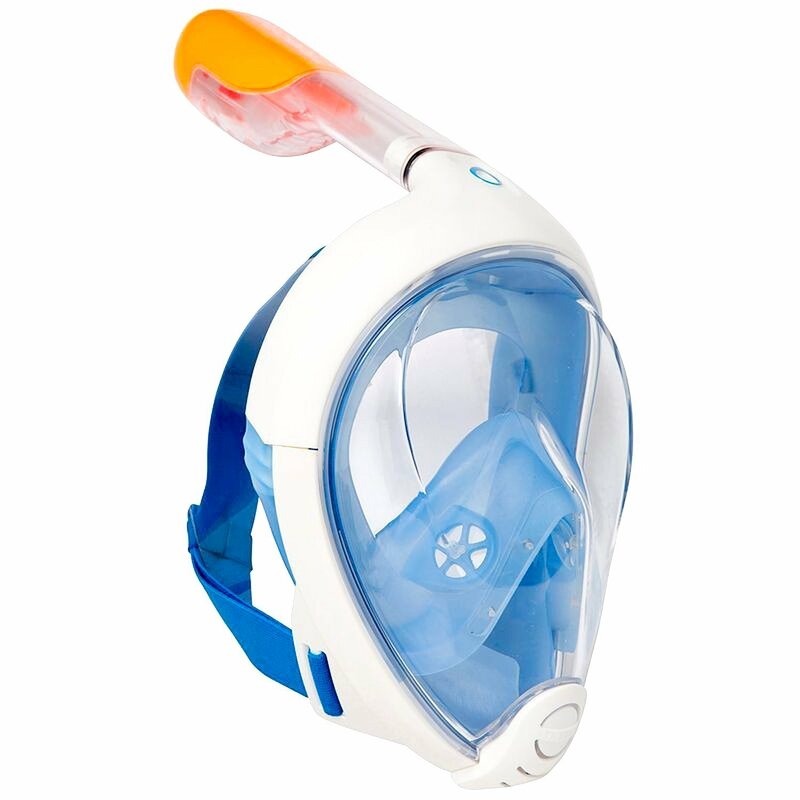 It’s got a triple air tube system which makes it super easy to breathe without having to force each breath. There’s only one style to choose from. While the black design of this guy is pretty sweet, it’s a shame there’s not a selection of colors to choose from. If you’re looking for a cheaper option and aren’t worried about it looking to fancy then I’d definitely recommend checking this model out. It’s not got a fancy look but it works well and is crazily cheap considering that it still functions fine. The 2018 Upgraded Universal Sized Easybreath Mask by Doupro has to be the all-out winner. It’s a little bit more expensive than some of the cheaper ones but it’s also just so much comfier. All the new changes they’ve made take away all the annoying bits the old versions had and I just love the fact that one size fits everybody. Whether you’re with your buddy or your wife you can swap over and both use it with no trouble. Doupro is also a really well known company and are super reliable, and buying from a well known seller is always a good shout.